In the previous post, we discussed one technique to check the overlap between two given images of equal dimensions. 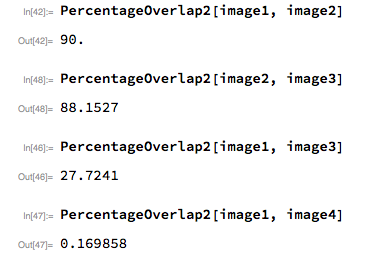 In today’s post, let us look at another idea that uses Mathematica’s ImageCorrespondingPoints function. 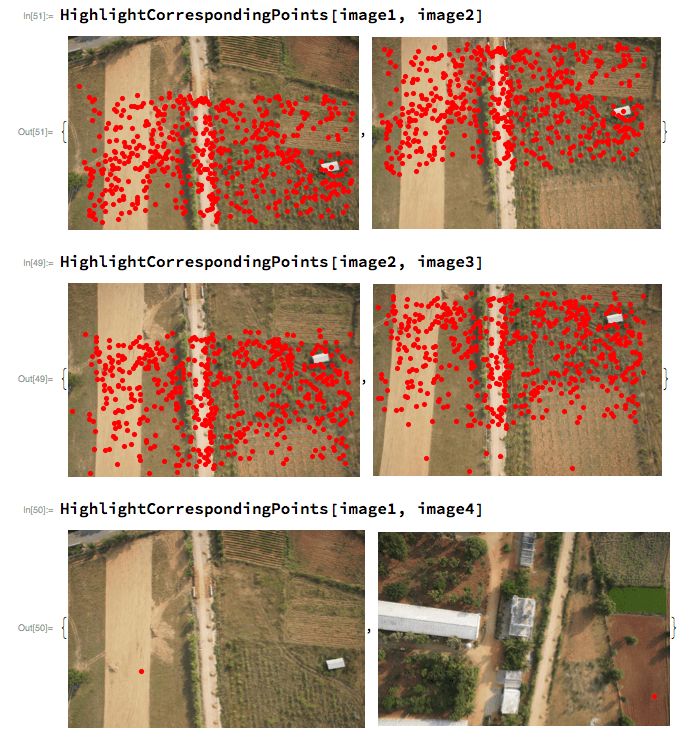 As per the documentation, the ImageCorrespondingPoints function finds a set of matching interest points between two given images and returns their coordinates. Internally it uses the ImageKeyPoints function to determine the key points of each image. First, let us write a function that will highlight the corresponding points on a given pair of images. As expected, this technique shows very little overlap between image1 and image4 (in contrast to the previous technique). I have chosen the scale factor constant to bring the actual ratio close to what is perceived visually. This is a trial and error process. I feel this technique gives a better estimate of image overlap compared to the technique we saw in the previous post.